Born: October 5, 1892 in Brooklyn N.Y.
Died: December 20, 1966 in Pocasset Ma. 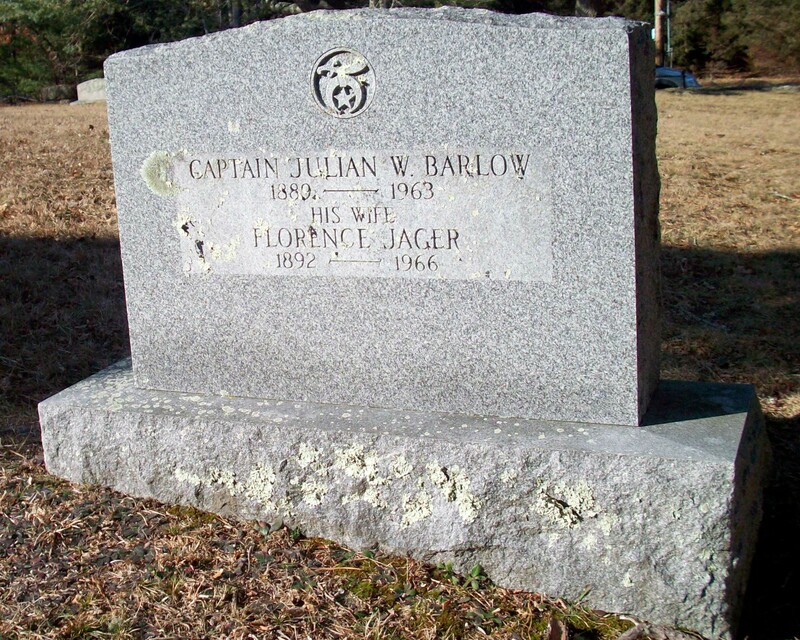 at 74 yrs, 2 mos, 15 d.
Married: February 6, 1936 in Long Island N.Y.
To: Julian Wilton Barlow, Capt. ; (1889 – 1963) (Edward Wilton Barlow, Capt. & Elizabeth/Lizzie Wright); Julian married (1) Dorothy L. (–) on Abt.1909.